We, Filipinos, love to sing. The many singing competitions on TV, in schools, and in our barangays are a proof to this. Heck, there are even international personalities - like Ellen Degeneres - who have pointed out that Pinoys are the best singers in the world. Given that fact, it is understandable that the Karaoke - apart from good food and laughter with loved ones - is at the center of our celebrations, be it Christmas, Fiestas, family reunions, and even just birthdays. As such, we are always on the look-out for Karaoke machines and speakers that are great enough to make our singing sessions more fun and entertaining. Legendary tech company Sony knows this -- and just a few days ago, the Japanese Giant formally launched two new powerhouse Karaoke speakers in the Philippines to welcome Q4 2018. Sony MHC-M40D and MHC-M60D Karaoke Speakers feature the company's innovative Digital Sound Enhancement Engine (DSEE), which instantly enhances the sound quality of compressed sound sources. With this technology, songs are played with a more appealing and expansive sound quality, which them sound like you are listening to a live concert! Both having two mic inputs, these speakers let you and your guests jam to your favorite songs. You can even sing duets, which is an awesome bonding experience for families, friends, and lovers. The MHC-M40D with its sleek enclosure provides an improved level of wide stereo sound that can pump up your playlist. 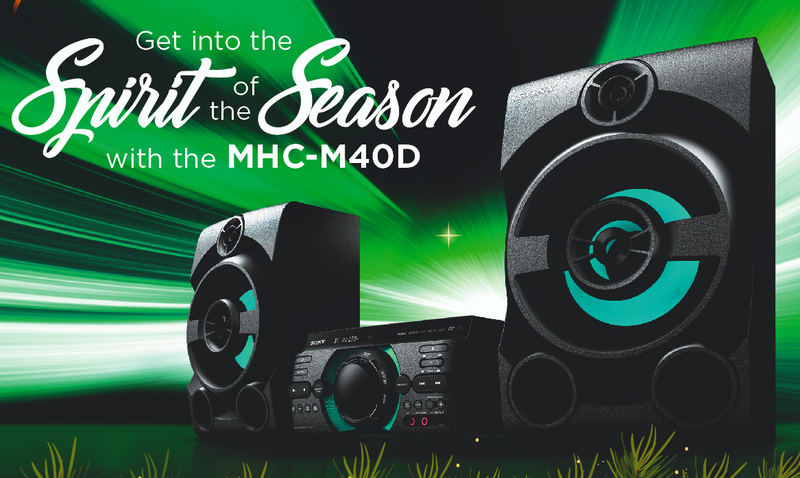 On the other hand, the MHC-M60D features multi-colored speaker lights that match the beat of the music, which is perfect for friends that dance their hearts out along with upbeat tracks. Both speakers can be paired with mobile devices like iPhones, iPads, and Android smartphones or tablets via Bluetooth for usual music listening experience and can be connected to more than 50 compatible home audio systems. 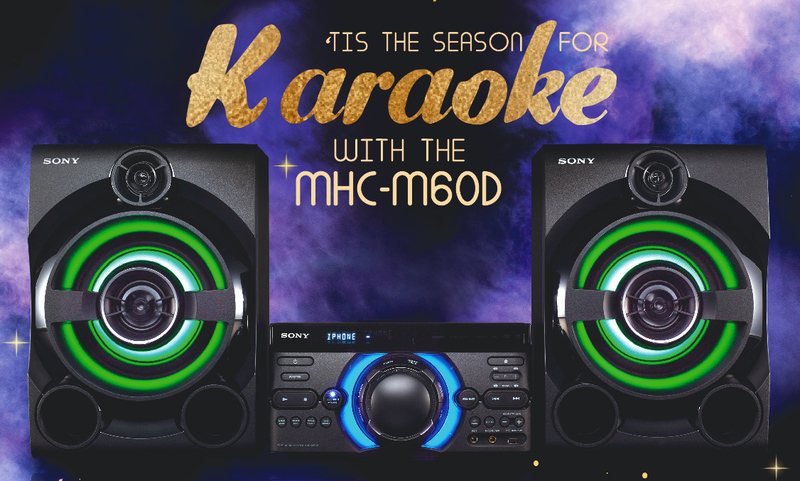 Making celebrations more fun and memorable, Sony M Series Karaoke Speakers are available at all Sony Centers across the Philippines. The MHC-M40D is priced at PHP 15,999 while the MHC-M60D goes for PHP 19,999. For more information, visit a Sony Center near you and ask for a live demo of these products.